4 hotels with a sea view are waiting for you in Deshaies. 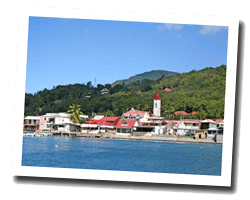 Deshaies is located in north-west of Basse-Terre. Its long coastline is popular for its beauty. 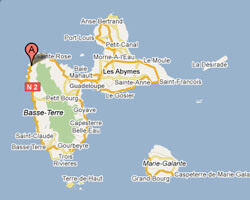 At the seaside you can find sandy beaches, including Grande Anse, the most famous beach in Guadeloupe. With its typical Creole houses, the village is nestled in a bay protected by mountains. This destination is popular with French celebrities. In Deshaies enjoy the pleasure of a sea view hotel.